Seeing a David Archuleta tweet pop up on my timeline is usually a cause for celebration. Virtual corks are popped and cartwheels flipped. It’s the online version of that little wave David gives in the middle of even the most serious song. I swear, he could be starring in a production of La Bohème and just before belting out the last note of “La Gelida Manina” … *wave*. But I digress. This time, after reading his tweet, a wave of sadness washed over me. The love we still show for TOSOD??? Like he’s surprised? As if maybe he thought we’d all moved on and tossed our Fan Packs in the corner with the recycling? Yes, okay, this album didn’t sell as much as his first record, but I hope he realizes that has nothing to do with the quality of his songs and everything to do with the fact that few people outside his core fan base heard about its release. "I feel communication is key … it’s the relationship with you guys that’s the most important ... that's why I'll be announcing tour plans on Pi Day." One great thing about MelindaGate was that a lot of the websites that ran with the erroneous “Jive dropped Archie” story also linked to David’s page on Amazon. And the album started to climb almost immediately from down in the 2000s up to 25 in Vocal Pop even before the Angels for a Cause CMN Children’s Hospital CD campaign. David might have tweeted because fans were trying to let him know about The Other Side of Down‘s ranking on the Barnes & Noble “best sellers” list, along with the AFAC campaign. But I do hope he realizes the campaign wasn’t the only reason for the bump in sales. As much as I love the new albums from Adele, The Civil Wars and Mumford & Sons (who self-financed their album, btw, and toured all their songs before they recorded them!) … it’s TOSOD that I keep coming back to most often … I get totally absorbed by it, the melodies, the quirky lyrics, that Voice … it takes me over and changes the way I feel … in a good way, the best way. I confess I skip over SBL (sorry, that’s just me), but I find something new in the other songs every time I hear them. I’m not done with it yet, not by a long shot. And if David thinks we aren’t interested in hearing these songs on tour, and plans on “out with the old, in with the new” … that couldn’t be further from the truth. For me anyway. This entry was posted in Fan experience and tagged David Archuleta, The Other Side of Down rocks. Bookmark the permalink. I listen to tosod in full several times a week and I would also put it above the civil wars and Adele. ( don’t have the mum ford and sons album.) funny thing is that I tend to skip sbl too — and parachutes has become more of a favorite with passing time. I listen to TSOD several times a week took along with David’s lst album. Each time I listen to it I find things that I didn’t notice the time before. I love SBL, Falling Stars, Complain (the guitar rifts & David’s voice together are amazing), Parachute and Airplanes & MKOP and the other songs I really like too! Falling Stars is so achingly beautiful, emotional and sad. The thing that makes this wonderful album so special to me is knowing that David co-wrote 10 of the 12 songs and you can really feel the emotions he was trying to convey when he sings the songs. TOSOD is such a treasure!! I love the album and listen to it in the car and @ home rather than what’s on the radio. I think all of us fans know that it wasn’t promoted enough and feel bad if David sees it as a failure. I keep hoping he is going to tell us what options he is going to follow. I don’t like this limbo and would love to hear he is going to be touring some rather than starting all over. I’m happy about the Angels For A Cause project and in addition to sending TOSD to the hospitals in Iowa and Illinois I sent the CD to a friend is going through chemo and since I thought David’s music would be the best medicine. Oh Deb. I felt the same when I read that tweet with the word “still” in it. It broke my heart for a minute. But the sweetness of his words. I just can’t. As far as I’m concerned, TOSOD is still a new album. It hasn’t been out for five months even yet. I used to skip over SBL, but just lately, I have a newfound love for it. And I still love Good Place more than is normal. Also, Parachutes turns me into a babbling fool, as you are now witnessing. The word blue. Just saying. We had company for a few days and then I was ill so I hadn’t had a chance to listen to TOSOD for about 10 days… and as soon as I did it hit me how much I missed it. The melodies, the lyrics, the hmmms, yea yea yeahs, and his voice, it is what it is… pure spun silk. And the album makes me feel good, it encourages me, reminds me how much I have to be thankful for. There are only 2 songs that I skip, SBL is one. I can’t count the number of albums I have bought over the years where there are 2 songs that I listen to and skip the rest! Cassidy, I love his voice in Complain with the guitar too! is so true for me too. Yeah Cassidy – Complain is now one of my favorites, even though it’s countryish! Nothing Else Better to Do really gets me smiling and chair dancing too. Betsy – Good Place along with Look Around are my two very fav’s and yes hair does grow back, lol. TOfan – I too felt my heart bump and drop when I read David’s tweet for the first time, how sad that he seems to be ‘putting it away’ in his mind. YES I felt the same way when I read that tweet. I hope he knows we really love it. I will love it forever. And ever. Out of this whole thing, with David being without record label & management and all the changes that have come with it, the thing I think I am the most upset with is that now for sure TOSOD will never get the promo it deserved. I am excited for David and his future career but I am a little sad that this album will kinda get left behind. Glad some of the buzz about David last week has resulted in more people discovering it! And I hope he still sings the songs live. Aw, this is a sweet post TOfan. Like you and others I felt the same way when I read David’s tweet. Loved the sweetness and appreciation in his words but at the same time was truly hoping that he didn’t think TOSOD is dying out because it is certainly not! Heck, I am still counting on David touring and singing all songs from that fantastic album and I still think that album could have a huge jump in sales. You are right, so many people are just discovering it now. Why on earth can’t a heck of a lot more people discover it (just need more promo somehow). Of course if some of the 300-500,000 people (latest estimation) that illegally downloaded the album would take a good look at themselves in the mirror and find their conscience, they just may go and buy the album (sorry, my little pet peeve). I would still really love to see David tour and sing those amazing songs that he poured his heart in to. Oh….and I listen to TOSOD every day too, both to and from work. I have come to really enjoy SBL (that boy can sing!) actually enjoy every song thoroughly, with a few favorites. Of course for me, David is the only young artist that I can listen to that much and never tire of the music. That says a lot. Oh and love your mention of his little hand waves, a little extra love in those waves. peppertara – that many illegal downloads??? wow have I been hiding my head in the sand about THAT ‘little’ problem. Sigh, sometimes when things go along as they are meant to it is a ‘little’ hard to take. Oh and love this too….“that’s why I’ll be announcing tour plans on Pi Day.” Amazing 😀 😀 :D.
Thanks, TOFan for a much-needed article. TOSOD is a feel-good album with all the right ingredients for success: beautiful vocals, uplifting lyrics, catchy hooks, and a mix of genres. I was so sure it would sell. I was also sure that SBL would be a mega hit on radio. Are we all living in an alternate universe or something where good music doesn’t necessarily translate into record sales? We HAVE to hear these songs performed live; we have to. Just wanted to de-lurk to say that I so agree! I listen to TOSOD everyday in my car. Today I was stuck on the chorus of A Good Place! I am tempted to buy a bunch of copies and send them to all the local djs in the San Francisco Bay Area with a note saying that even if they don’t play any of these great songs, enjoy the cd in their car! Just trying to trick them into actually listening to all the songs. heh collegemom – go for it if you think it might work! (re sending CD’s to all the DJ’s…) and ask for feedback – that way they might feel as if they need to listen just so they can answer you, lol. This is such a good post. Shows that any publicity is better than none. I guess it was kind of mean how everyone treated Melinda after her tweet. I love David’s new album TOSOD and listen to it everyday too. I think your absolutely right that David should not have ever thought that we would stop supporting him because of his circumstances and also that his album was not that great. It’s great and I love it~~! I am in the same boat….. TOSOD is a daily thing for me. Mr refnaf loves it as well, which cannot be said about album one. I have caught him singing TAGTGB, and he never sings!!! David’s music is something I want everyone to hear. I have still hope that sales will steadily move along and seeing the spike lately made me hopeful that it was being bought by new peeps as well as fans showing him love and support. That is what made me sad about the tweet, that he may not know that. This is an amazingly uplifting album and I am so proud of David’s effort on it. I too skip SBL and also Complain, but maybe I should give it a few more listens. It is the country in it which somehow puts up “earblocks” for me, lol. Delurking cuz I loved this, “It’s the online version of that little wave David gives in the middle of even the most serious song.” Also, to say that I still listen to TOSOD everyday in my car. I skip Complain because the guitar riff reminds me of a song I hate, but I pretty much love everything else. @JennyFOD: Good news! 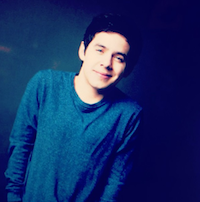 Lots of new gigs coming up for @DavidArchie. Lots of irons in the fire! Some dates to be announced this week, hopefully… Some international events, lots of travel throughout rest of year. Also I was wondering about his facebook page. It was updated February 24th about the Stadium of Fire. Who did that updating????? cadthu!!!! You finally de-lurked, congrats!!! hahaha I bought TOSOD in HMV (last copy, actually & had to ask them twice to order more, grrr) and also in Best Buy (where I relocated it to an, ahem, more prominent rack). Not sure what will happen with his official site, but that will be a very important vehicle for him to maintain his relationship with the fanbase (and sell and promo his music), esp. without a big label behind him. The Almond (& other Central Park album intro vids) are on YouTube … hmm, might want to download those soon just in case. 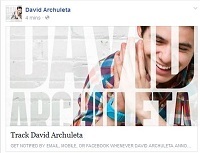 abanana77, David’s official Facebook belongs to him (or whoever has his password, Jazzy? lol), so I’m glad to see he has someone updating it for him! Whoo Hoo! Sounds very promising and international events, lots of travel! I’m trusting that this info comes from a reliable source (have someone in mind). cadthu, I have found David’s CDs at HMV in Canada and also at London Drugs of all places. I would love to hear David sing Good Place live too, absolutely one of my faves on the album. TOfan, loved the video “The Other Side Of Obsession”, LOL. Laughed at that one. Hey, when you’ve got it, you’ve just got it (O.D.D.). Anyone with that ‘affliction’ is okay by me. Oh and if you haven’t checked AFAC lately, they now have 3 Canadian hospitals added to the list for TOSOD gifting in case anyone is interested, pretty awesome! haha, peppertara, you beat me to it! That is pretty awesome! Hi All! That’s funny. I went to every Best Buy, HMV, and Future Shop in the eastern part of the GTA and couldn’t find TOSOD anywhere! When I asked if it was being ordered I was told no (they mostly had no idea what I was talking about). I picked up several copies in Buffalo (shopping trip!!) and mailed to family and friends in the U.S.
I’m thinking I may need to find that Almond vid asap and make myself a copy! And how wonderful the gifting to the CMN hospitals. Great match in many ways. Glad Canadian hospitals were added. And a wonderful, positive avenue for fans to concentrate their energy and efforts. Children in Need + Charitable Giving + David music = WIN, WIN, WIN. And finally, while I’m happy to hear the content of the recent tweet about David’s plans, I have to voice my sense of “intrusion,” that we sometimes think we, as fans, can and should scoop news and justify as right so to ease other fans angst…for any announcement should be David’s news, through his official channels. The balm that I apply to my chagrin about this is that fan sites are most probably not a source of info for anyone in the entertainment news world unless it’s really bad news and *sigh* picked up by TMZ or VFTW or some tabloid site. And, the seriousness of scooping David’s news on twitter by David fans who are only probably followed by other David fans other than my sense of “intrusion” is probably not a big deal in cyberland. “David’s future belongs to David, to create, to live, and to ANNOUNCE! !” couldn’t agree more, Kizzi, but unfortunately, David tends to take his time announcing things (if he announces them at all), so others swoop in and steal his thunder, or worse (in the case of Melinda) they get it wrong & that wrong impression tends to stick. So, the next stop on this David Fan journey is just fine with me, be it a hill or a valley. If it’s a hill, I’ll savor it with all senses set to open throttle. If it’s a valley, I’ll learn from the landscape what needs to be learned, recalibrate my outlook with each new dip, twist and turn, and move on. Disappointment is not a fatal disease. It is a waste of time though to stay too long in the Land of Disillusionment. hmm where did my link disappear to? So happy to have Canadian hospitals added to the list. I have just placed my order with Amazon.ca for two copies of TOSOD to be shipped to Sick Kids in Toronto. Gosh, it feeeels so good to be able to share David’s amazing and positive music with others! And AFAC just added another Canadian hospital to their list! @TanikaRoseABit: So David Archuleta is chilling out in my dad’s studio right now. In case anyone was wondering. @TanikaRoseABit @lundybridge Yep. Meeting with Jimmy Osmond. Dad’s working on getting a picture. Apparently TanikaRose’s dad isn’t Jimmy Osmond, but a photographer. Jimmy Osmond is a multi-faceted entrepreneur, who has obtained success both on and off stage. Through his vast experience and knowledge in the entertainment industry, he has produced and promoted record breaking world-wide concert tours, ice extravaganzas, a variety of commercials and coordinated celebrity commercial endorsements. hmmm … I’m hoping it’s more concert tours than Ice extravaganzas … although remember this? What is it about David skating that just gets me all teary??? It is so Canadian I guess…. Of course anything David does is always wonderful and that video of David ice skating, had forgotten about that little gem! Love that another Canadian hospital has been added by AFAC for CMN. 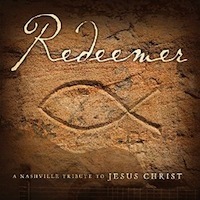 Well, I’ve sent some CDs to the U.S., now I have to get some to Canadian hospitals for sure. suddenly, I found interesting music the title is “zero gravity”.. at first I didn’t know who’s the singer, but when I listening…and BOOM! that song really stuck in my head! I couldn’t help it to find the singer, so! 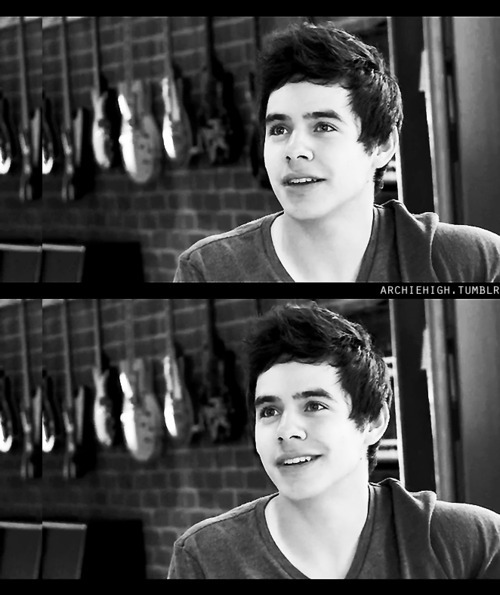 I searched at google and it’s archuleta!! ohh so cute! In love zero gravity! it’s so like me! JR4DA has posted some AI7 finale interviews on her YT channel, I missed this one first time around… D. looks soooo young! A new way of marketing new music from David plus promo for TOSOD – CD’s from live concerts on the horizon??? Please, yes please!!! This is the 1st part of an amazing hand-drawn Elevator fan vid … wowza! Love that ZG story tofan. And that Elevator video, very cool! I’ve been watching alot of old stuff too, he has grown exponentially. What I do not understand is why cd’s are not sold at every concert, appearance, radio promo etc. People should have access to physical copies of all his cd’s every where he goes. Love all the videos posted and I really hope that Elevator vid gets finished, love that! “A tour organized by JO sounds good to me>> “A new way of marketing new music from David plus promo for TOSOD – CD’s from live concerts on the horizon??? Please, yes please!! !”<<< Triple ditto awestruck :)"
That's still definitely a triple and quadruple ditto for me too! Let's hope. David has certainly grown in leaps and bounds in the last few years, he has been just amazing. He used to say that he hopes he does us proud (his fans). Well, I couldn't be any more proud of him, honestly. It always surprises me a little when I hear that someone has never heard of David (although it shouldn't really). If you didn't watch Idol and have never seen him on TV appearances, etc. then that could be the case, especially with insufficient promo…. "I’m a Taylor Swift fan, but you are so right about not knowing about him! I had no idea who he was until December 2010. I had never even heard of him! As soon as I heard his music, I was hooked. He just needs to be promoted more." I’m curious peppertara – where did you read this comment? “I’m a Taylor Swift fan, but you are so right about not knowing about him! I had no idea who he was until December 2010. I had never even heard of him! As soon as I heard his music, I was hooked. He just needs to be promoted more.” I’m thinking that they are referring to Fox’s NYE?!? Man if this Jimmy O ‘specializes’ in concert tours – David doing what David does best, sing live – then what better promo could there be? STUNNING Angels vid just uploaded by the lovely Pastel (from Pittsburgh solo show during Demi tour), amazing audio! She’s uploading 3 others from that show to her YouTube channel HERE. Oh I just adore that Angels vid, thanks for posting it and thanks to Pastel. It is absolutely gorgeous. Would so love to hear David sing that live sometime (wish list). awestruck….that comment about the fan discovering David in Dec 2010 actually came from the Radio site that asked fans to support David and help him get a new label (not sure what was behind it all but it did draw hundreds of supportive comments from David’s fans)! Yes, it’s quite probable that the commenter did discover him from his NYE live performance. His album sales did go up after that TV appearance. 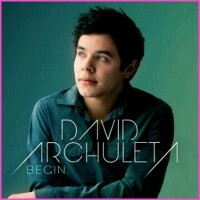 @DavidArchie thanks man. Excited for all you have coming your way. Wanted to talk about American Idol this season, and also wanted to give you guys a challenge to take some time to just ponder over things for 15 to 20 minutes and then write down what’s on your mind after that. Does this site have Twitter? I just now saw the tags.